The patented Profile Racks are revolutionizing the workout space as we know it. Easily transform any garage, home or small commercial space into a multi-functioning gym while sacrificing just 4” of wall space when not in use. Requiring no disassembly to be stored, our Profile Racks easily fold against the wall with the help of four 100-pound gas shocks and are locked in place using the provided safety locking pins. It’s like its not even there. Constructed of 11 gauge steel, these racks are built to last. 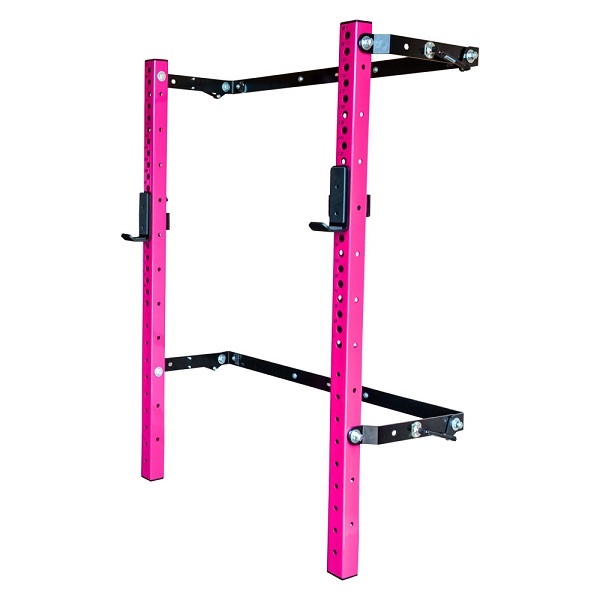 The patented wall-mounted Profile Folding Squat Rack is a sturdy and sleek way to start building your own garage or home gym.